Statements from various political leaders have led to speculations that there is a good chance of 2019 Lok Sabha elections to be advanced. Former Prime Minister HD Deve Gowda too has spoken on these lines. 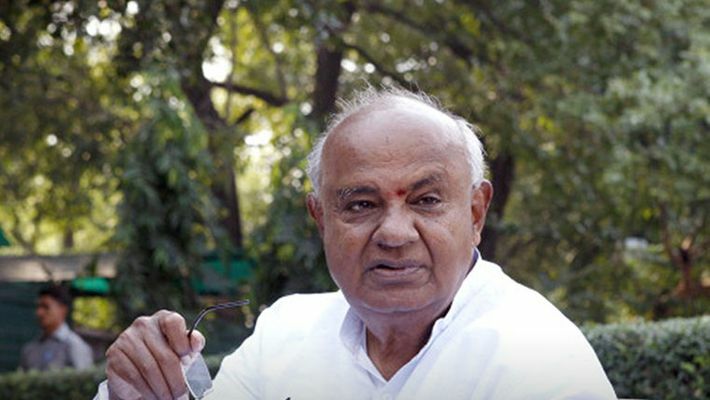 After meeting the Congress High Command recently in Delhi, on presenting the budget in Karnataka, JD(S) Supremo HD Deve Gowda has said that there are chances of Parliamentary elections being held before the BJP-led NDA government at the Centre completes its five-year term. BJP has already started preparing for the polls in the states ruled by it, he said. Reacting to reports of infighting and differences in Congress-JD(S) coalition government in Karnataka, Deve Gowda said the BJP was trying to cash in, thinking that all opposition parties cannot unite. "I will take the lead to unite all the parties including Congress. In Karnataka, JD(S) and Congress will fight the Lok Sabha elections together. In Uttar Pradesh, the Congress will join hands with SP and BSP,” he said. In Karnataka, there are reports of differences between Congress and JD(S) leaders in terms of power sharing, budget presentation, portfolios and representation of communities. Former Chief Minister Siddaramaiah has expressed his doubts about the coalition government lasting the full term. Even before the Lok Sabha elections, Assembly polls will be held in Rajasthan and Madhya Pradesh. The results of these polls might give a clear picture on when the general elections will be held and the chances of the Third Front. Is BJP trying to advance the Lok Sabha polls by few months when the differences between Congress and its allies are on the rise?